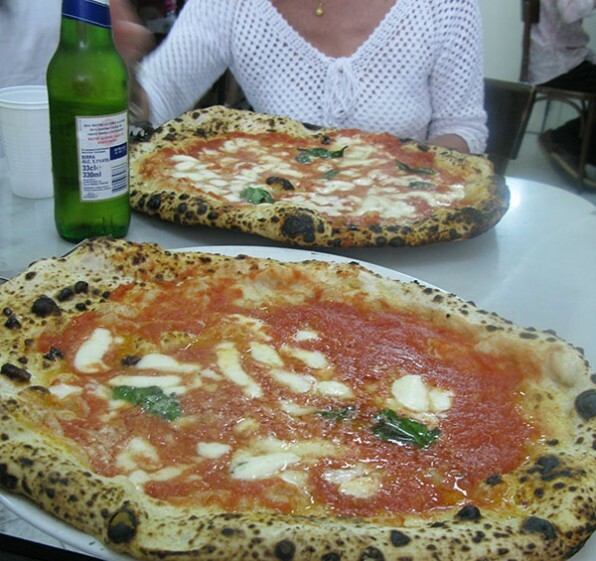 The hubcap on my plate is a Pizza Margherita served at Antica Pizzeria da Michele in Naples, Italy. 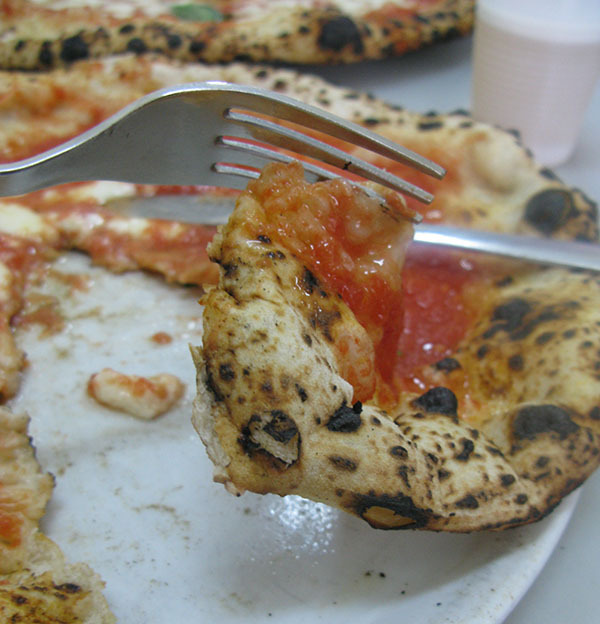 You find the pizzeria on the eastern fringe of the old city, which dates back to Greco-Roman occupation. After waiting with a crowd for a table bunched outside, you have few choices. The pizza comes with sauce or with cheese and sauce, each variety around 4.5 euros each. You place your order. And when it comes, you eat it fast. The pizza’s pillowy texture is a cult favorite though surprising to any of us used to a crisp, chewy crust. It’s like a cross between charred warm bread and pasta. I’d eat it again in a heartbeat but only on location; this flavor experience doesn’t make the transatlantic journey.